Downtown is busy with shopping, sporting events, restaurants, concerts, and Central Library! We want to make it as easy as possible for you to get to us. If you are parking at a meter, the meters are monitored from 8am until 7pm Monday through Saturday. The charge per hour is $1.50. You can pay up to a maximum of 2 hours at a time. The meters accept quarters which are good for 10 minute increments. Parking is free after 7pm on these days and free all day on Sunday and City holidays. The meters are numbered and you pay at the parking meter stations near the meters. You can also pay by credit card or mobile app Parkmobile. There are also numerous parking lots in the downtown area with various rates. See http://www.downtownstl.org/parking for a map of the St. Louis area. If you select Downtown West on this map, you find the lots near to Central Library and can also get an estimated cost for the date and length of time! 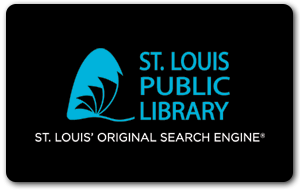 If you have any questions, please call 314-241-2288 or Ask A Librarian.